President Larry Roberts called the meeting to order at 6:40 p.m. Directors present for the meeting were Bonnie Brooks, Errol Daniels, Susan Haag, Dennis Harrison, Stan Lambert, Franz Lerch, Ty Payne, Larry Roberts, Larry Sassa, Paul Smith, Lamar Strother, Douglas Tillett, Stuart Toomey, and Jim Van Cleave. Directors Doug Alred, Jane Alred, Angela Harris, and Todd O’Donnell were absent. Approval of 2/6/18 (February meeting) minutes: On a motion by Lamar Strother and seconded by Susan Haag, the February board meeting minutes were approved as submitted. Treasurer’s Report: Treasurer Bonnie Brooks distributed copies of the Balance Sheet and the Profit and Loss Detail Statement through February of 2018 and then thoroughly explained all the line items. As she went through the line items, she discussed the expenses for donations, high school track meets, the racing team, and other business services. JU Running Lab – On behalf of Jeff Wight, Larry Roberts reported that the running lab had conducted 13 analyses in February for which 10 were for research purposes and the other 3 were paid clients. The lab will be set up for demonstrations during the Gate River Run Expo. Jacksonville Trails Master Plan – Things are going well and moving along on schedule. The contract is scheduled to be signed March 15th. Expect to see more publicity in the news within the next couple of weeks. Groundwork Jacksonville will be at the Gate River Run Expo as a part of our booth. Run, Jump, Throw 2018 – Larry stated that we would wait to further discuss the Run, Jump, Throw event until Angela Harris returns since she is our lead liaison for this event. Connie Smith resignation and replacement search – Larry stated that he was recently contacted by Connie Smith regarding her board membership. Due to her numerous duties, commitments, and scheduling conflicts she needed to resign her position on the board. With her resignation, this leaves the board now with 2 open seats. In conjunction with our current active recruitment process, Larry selected Errol Daniels to lead our search. Our goal is to find individuals to represent JTC Running and the community we represent. 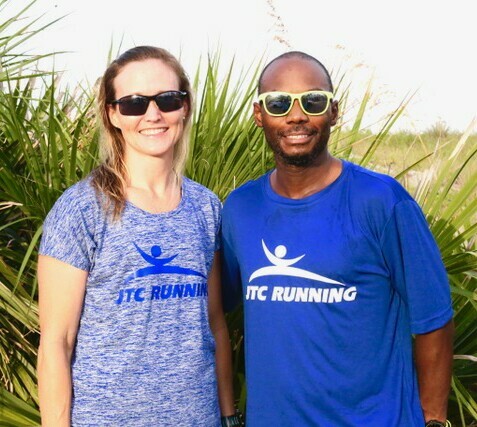 USATF-FL 15K State Championship – Doug Tillett explained that the Gate River Run currently serves as the 15K USATF National Championship along with the Florida 15K state championship. It is time renew our state championship status if we want to continue carrying this distinction. On a motion presented by Doug and seconded by Stan, to spend $400 annually to remain the State of Florida 15K championship race for the next 3 years was passed by the board. RRCA Convention – Doug Tillett spoke about the upcoming RRCA National Convention. The convention is scheduled for April 5-8 in Crystal City, DC in conjunction with the Cherry Blossom 10-mile race. The budget for the convention is $3,500. Doug and Stan have usually attended, however have not been able to attend the last 2 years. Stan stated he had spoken with Errol about the possibility of attending the convention. Doug proposed a motion to increase the convention budget by an additional $500, if a 3rd person elected to attend the convention. The motion was seconded by Stuart Toomey and passed by the board. Gate River Run (Sat 3/10/18) – Stuart reported that current race entries are slightly above 15,500, which is down from last year, but is still a solid turnout. Online registration has closed. Everything is all set. Gate River Run Elites – Jim Van Cleave reported on the status of our Elite field of athletes. Earlier in the week our selected hotel released the rooms we had reserved, which left our incoming athletes without rooms. Luckily, Jim and Doug Alred got enough rooms at the Courtyard Marriott to accommodate 60-65 runners. Due to the last-minute adjustment for hotel accommodations, the budget could go over by as little as $500. We had arranged buses to pick up the runners on race morning, as well as having Doug, Stan, and Jim handling transportation to and from the airport. There will not be any planned elite events. Gate River Run Runners Expo (Thu-Fri 3/8-9/18) – This year’s expo will start at 11 am on Thursday and run through 8pm Friday night. Larry reported that the JU Running Lab, as well as Groundwork Jacksonville, and Marathon High will be a part of our booth or located next to our booth. This will allow members to find out more about our partnerships while picking up merchandise and their hospitality tent wrist bands. Race Committee / Track Meet Committee – Larry stated that the race committee needed to meet regarding the proposal presented by Richard Fannin in relation to new Cecil Field races. The committee would need to meet after GRR and perhaps before the next board meeting. COMMUNITY & PUBLIC RELATIONS – Larry Sassa reported that we will be using the same approach and same vendor as last year in terms of handling the hospitality tent. We have budgeted $2,700 to feed about 350 people with fruit, sandwiches, water, soda, and beer. Volunteers should arrive around 5:30am so that we will be able to open the tent to runners as early as 6am. We will have groups serving food, handling bag check, and admitting members into the tent area. Members will be able to pick up their wrist bands during the expo. FINANCE – Bonnie went over a request received from Reginald McCray of Westside High School requesting $500 for their Westside Relays event happening March 10th. The event is expecting a turnout of 400 kids. Bonnie made a motion, which was seconded by Susan Haag, and passed by the board. It was mentioned that we usually start planning for our awards banquet around this time of year. Bonnie said that she would get with Jane to set a date and reserve a restaurant. It was brought up that we might consider other venues to host the banquet. It was also mentioned that we would need to consider the space, food, and costs associated to change the venue. Bonnie reported that a Finance Committee meeting will be held at 6 pm prior to our next monthly board meeting. Stan Lambert said that he wanted to be added to the Finance and Race Committees. MEMBERSHIP – Larry Roberts reported membership is currently at 1,123 active members, of which several were signups along with Gate River Run entries. Lapsed members were sent emails regarding their memberships and the GRR tent. MERCHANDISE – We will have our existing inventory of merchandise on sale at the Gate River Run expo. The goal will be to sell down our inventory in hopes of moving forward with online merchandise sales. The plans for the expo include reducing prices to move older merchandise. Currently our shirts and shorts generally cost $20-$30, but we intend to sell these at a GRR special price of $15-$20, with flexibility to reduce prices even further as needed. COMMUNICATIONS: Newsletter, Social Media – The current issue has been printed and mailed. The newsletter is accessible via the email blast that has been sent out. Deadline to submit an article for the next issue is March 15th. Larry spoke on the success of our Facebook post regarding our involvement with the Jacksonville Master Trails Plan. For a fee of $88, which is less than the newsletter, we “boosted” the post. The post reached 15,112 people, gained 338 likes, and was shared 63 times. To increase our social media presence, Errol volunteered to assist with our Instagram account. VISION & PLANNING: Tomahawk Park plaque – No Report. NEXT MEETING – The next board meeting will be Tuesday, April 3, at 6:30 pm in the Mediterrania Restaurant. The March meeting was adjourned at 8:01 pm.